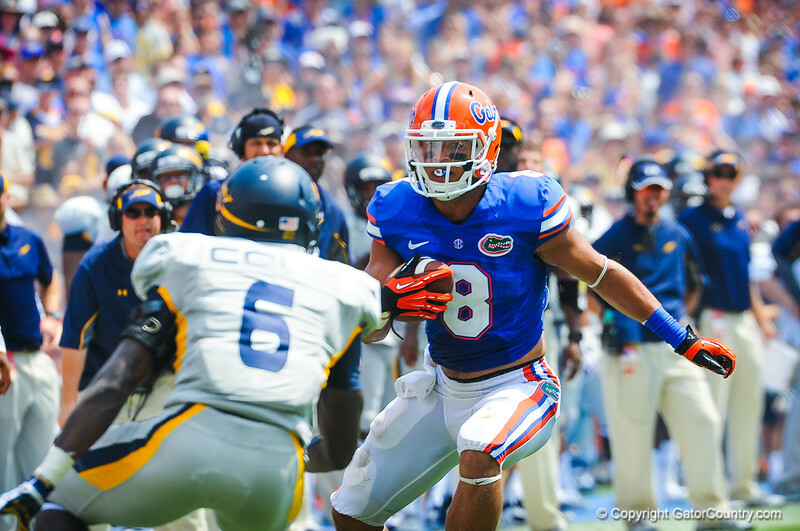 WR Trey Burton catches the ball and tries to elude the Toledo DB. Gators vs Toledo. 8-31-13.